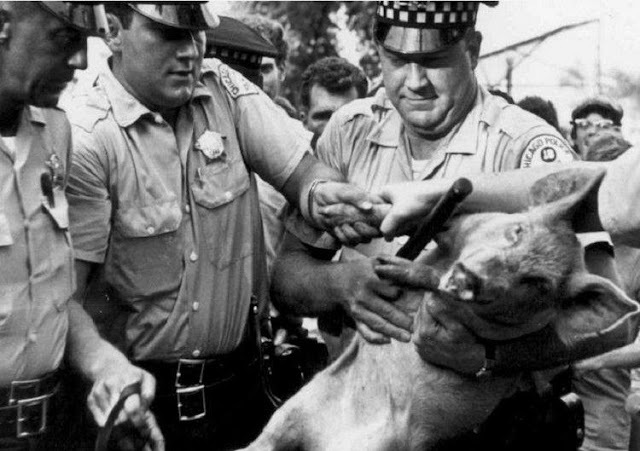 August 24, 1968 -- Seven leaders of the Youth International Party and their candidate for the Presidency of the United States, a 150-pound pig named Pigasus, are arrested at the Civic Center, today’s Richard J. Daley Center. The Chicago Tribune reports, “Moving quickly and without incident, 10 uniformed policemen and several detectives under the personal direction of Comdr. James Riordan of the First District, loaded the pig into a police wagon as soon as it was placed in the plaza.” The seven leaders of the demonstration are loaded into the wagon with the pig. The Yippie leaders are taken to police headquarters where they are charged with disorderly conduct and released on $25 bonds with a court date scheduled for September 19. Pigasus is taken to the Anti-Cruelty Society where he is “given a bath, fed, and placed in an outside pen,” according to the society’s director. 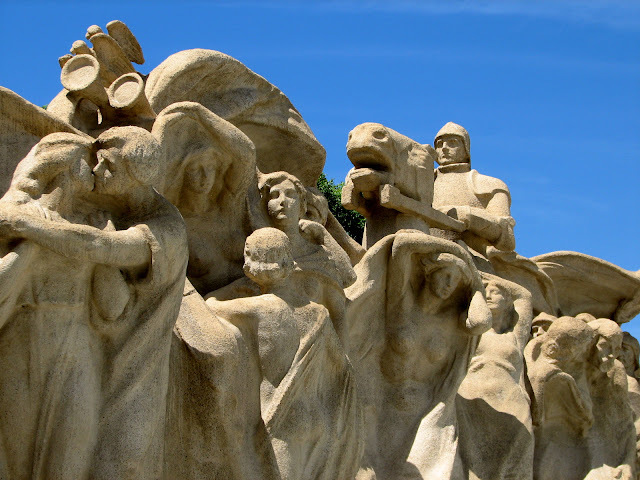 The demonstration, attended by about 50 Yippies and watched by 200 spectators, apparently is enough to scare Country Joe and the Fish away as the San Francisco rock group withdraws from the Hippie Festival of Love, scheduled to begin in the city later in the day.